I keep on going. I have to stop on a dime and go shopping or tend the garden, but my bookmarks are kept and I sit down and am taken captive by the text, even if I have had to leave it for several days. It's a very big, nay gigantic puzzle. Verse 3, the word segregate is used for the action taken by women in their period. As I walked to the store I was meditating on verse 10. Lots of possible variation. The rhetoric of the old translations like KJV is lost on me. Eventually I left numerous for bones (same letters) and people for with (same letters). And what's not to remember? I made nothing up concerning pierced (v 1). It is niqab, the pierced or bored female in Genesis 1. Horns could be rendered intense brightness. Does Yahweh abhor pride or is it that longing for the pride of Jacob is considered to not make sense? Makes perfect sense to me, whether taken directly or sarcastically. The shape of verse 14 is remarkable. The grammar delays nation to the bitter end of the half-verse. There is a long conditional from verse 3 to verse 6 with the consequence in verse 7. The music does not particularly highlight this structure. Verses 8 and 14 have some similarity that distinguishes them from the remaining verses. Each of these phrases as a whole is unique in Scripture. That by itself is not very revealing because most musical phrases this long are unique. Of the 23,151 verses in the Bible, only 7,944 occur more than once. So roughly two thirds of the verses have unique music (or sequences of accents if you prefer). Take me to task if you wish. וְאָמַ֣ר הָ֔ס כִּ֛י לֹ֥א לְהַזְכִּ֖יר בְּשֵׁ֥ם יְהוָֽה 10 And his uncle will bear him, and from his incineration to bring forth numerous things from the house. And one says to whomever is by the flanks of the house, Are there yet your people? And he says, No. כִּֽי הֲפַכְתֶּ֤ם לְרֹאשׁ֙ מִשְׁפָּ֔ט וּפְרִ֥י צְדָקָ֖ה לְלַעֲנָֽה 12 Do horses race on the cliff? If one ploughs with oxen. וְלָחֲצ֥וּ אֶתְכֶ֛ם מִלְּב֥וֹא חֲמָ֖ת עַד נַ֥חַל הָעֲרָבָֽה 14 ~ For note me well raising up against you, the house of Israel, an oracle of Yahweh the God of hosts, a nation. I haven't read Proverbs as a book. It seems too much at once. So maybe I should do one or two a day and see what emerges. I wonder if I am looking at frames in the few I have done so far? 14:12 and 16:25 are identical and similar to 21:2. 17:3 matches 27:21. וְדַ֖עַת קְדֹשִׁ֣ים בִּינָֽה 10 The commencement of wisdom, the fear of Yahweh. אֶֽל־כָּל־אֲשֶׁ֖ר יִפְנֶ֣ה יַשְׂכִּֽיל 8 A graced stone is a bribe in the eyes of its owner. בּוֹזֵ֖ה דְרָכָ֣יו יָמֽוּת 16 One who keeps a command keeps its very self. Enjoying this so much! Zophar's next speech has been unfairly treated. 'Rain on his picnic'. Is that in the Bible or in Shakespeare? (Hint: this whole speech is by Bottom). Don't forget the omission of 'God' in the traditional hell fire and brimstone passages (v 23, compare with the last verses of Psalm 7). All the complex modifications suggested to me by Tur Sinai's book years ago. Not one seems needed. Scholars can be obtuse. רֹ֝אָ֗יו יֹאמְר֥וּ אַיּֽוֹ 7 Like his own dung, in perpetuity he perishes. וְ֝יֻדַּ֗ד כְּחֶזְי֥וֹן לָֽיְלָה 8 As a dream he will fly away nor will they find him. מִ֝בִּטְנ֗וֹ יוֹרִשֶׁ֥נּוּ אֵֽל 15 B Wealth he has swallowed up and he will disgorge it. תַּֽ֝הַרְגֵ֗הוּ לְשׁ֣וֹן אֶפְעֶֽה 16 The head of adders he will suckle. כְּחֵ֥יל תְּ֝מוּרָת֗וֹ וְלֹ֣א יַעֲלֹֽס 18 He will restore what he laboured for, and he will not swallow. בַּ֥יִת גָּ֝זַ֗ל וְלֹ֣א יִבֶנֵֽהוּ 19 For he has damaged, has forsaken the weak. בַּ֝חֲמוּד֗וֹ לֹ֣א יְמַלֵּֽט 20 C For he does not know ease in his belly. עַל־כֵּ֝֗ן לֹא־יָחִ֥יל טוּבֽוֹ 21 There is no survivor to eat it. כָּל־יַ֖ד עָמֵ֣ל תְּבוֹאֶֽנּוּ 22 In the fullness of his sharp practice he is in trouble. יֵ֖רַע שָׂרִ֣יד בְּאָהֳלֽוֹ 26 All darkness is buried in his treasures. A fire not stoked devours him. So much today I am back to the beginning of the first attempts I made at Job 6 years ago. And my concordance helpers were really useful to me today, suggesting a reading that concurs with many. What do you think? לֹֽא־תֵ֝בֹ֗שׁוּ תַּהְכְּרוּ־לִֽי 3 C These ten times you humiliate me. אֲ֝שַׁוַּ֗ע וְאֵ֣ין מִשְׁפָּֽט 7 C Lo! I cry out, Violence! and I am not answered. נָ֝כְרִ֗י הָיִ֥יתִי בְעֵינֵיהֶֽם 15 ~ Guests in my house and my maidservants reckon me as a stranger. אָ֝ק֗וּמָה וַיְדַבְּרוּ־בִֽי 18 Even babies refuse me. מִֽי־יִתֵּ֖ן בַּסֵּ֣פֶר וְיֻחָֽקוּ 23 Who will give here, so my speeches may be written? וְשֹׁ֥רֶשׁ דָּ֝בָ֗ר נִמְצָא־בִֽי 28 B For you should say, Why do we persecute him? There are overlapping recurring circles from 6 to 16 and from 13 to the end. (I omitted 23-26). The key words are ידע, פה, לא, ענה, סבב, חשׁב, זור, גור, עין, חנן, ב, דבר, עור, בשׂר, רדף, כלה, חרב. The images are too big to display, but you can trace the recurrence with these hints or without them. Here's the music for the central section 23-26. I have not noted before the immediate return to the tonic after a rest, but it is not uncommon. Verse 23 is rare also in that the very common second half ornament is not present in it. Why would I have avoided Jeremiah for so long? Will I ever get to Ezekiel? Here's a paper that turned up on my Academia feed on Jeremiah. This prophet looks like he will be an interesting read. I wonder whether my reading will see the sorts of things that turn up in the Talmuds. I found a bit of Jeremiah 20 that I must have done before the current database. Lost it was. In looking at it and given my unfamiliarity with Jeremiah, I thought I had better start from chapter 1. So here it is. Now is Jeremiah for or against? The preposition is clearly 'against' (על) the nations, but for Jerusalem and Judah and the people of the land (=earth - no distinction), the preposition is the enclitic ל. I rarely have made that 'against' (7 times so far in several hundred uses). Some verbs in English would imply a preposition stronger than of, for, or to... In this case perhaps the possessive use of the preposition is implied, so the force of the first preposition continues across the mid-point rest in the verse. And is this the whole earth and / or the land? I don't know. But I had to put something down. The sense of one of these words is required, but at this stage of the book, one cannot say which one. נָבִ֥יא לַגּוֹיִ֖ם נְתַתִּֽיךָ 5 Before I fashioned you in the belly I knew you and before you came forth from the womb, I sanctified you. וַיֹּ֤אמֶר יְהוָה֙ אֵלַ֔י הִנֵּ֛ה נָתַ֥תִּי דְבָרַ֖י בְּפִֽיךָ 9 And Yahweh extended his hand, and he touched my mouth. וָאֹמַ֕ר מַקֵּ֥ל שָׁקֵ֖ד אֲנִ֥י רֹאֶֽה 11 And the word of Yahweh happened to me, saying, What are you seeing, Jeremiah? וָאֹמַ֗ר סִ֤יר נָפ֙וּחַ֙ אֲנִ֣י רֹאֶ֔ה וּפָנָ֖יו מִפְּנֵ֥י צָפֽוֹנָה 13 And the word of Yahweh happened to me a second time, saying, What you are seeing? אַל־תֵּחַת֙ מִפְּנֵיהֶ֔ם פֶּֽן־אֲחִתְּךָ֖ לִפְנֵיהֶֽם 17 But you, you gird up your loins, and arise and speak to them all that I myself command you. אִ֥ישׁ וְאִשְׁתּֽוֹ - is not male and female strictly speaking, but it is used in verse 2 for the description of the clean and unclean beasts. Then in verse 16, the usual phrase for male and female is used, זָכָ֨ר וּנְקֵבָ֤ה. So I chose each and its mate for the beasts, perhaps with some anthropocentric prejudice on my part. There are large chunks of repetition in this chapter. 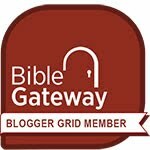 36 words recur more than 3 times in the 24 verses. 12 words recur exactly twice. Only verse 22 is without a mid-verse rest. Over half the words in this chapter are shared with Genesis 1 (382 of 651). Twice we get this unique combination אֶֽת־כָּל־הַיְק֣וּם all that was placed. Perhaps I should follow others in rendering this phrase, but why start following others now! It is a word related to קום, for which common glosses are related to place or to exaltation, arising, and so on. Only used elsewhere in this form in Deuteronomy 11:6. I think this is a deliberate taking away of what was constructed in Genesis 1:9. Why then the use of desert (v 22) rather than dry land? Whatever the reason, place is a loaded word in both Old and New testament. So maybe it is important here and in the later place where we will have to deal with rebellion of another sort. One day I will publish my glossary. A glossary is not a dictionary, but a record of decisions. Remember that - A does not mean B. Rather, the translator chose B to represent A for some reason or other. And some reasons / decisions may be more suitable than others. My intention is to preserve the pattern of variation and non-variation of word usage as much as I can. It's a chosen constraint. There are more peculiarities of the phrasing of this chapter. I could have chosen more traditional glosses, but would that have hidden something from me that I should not 'gloss over'. Like עצם (bones, numerous) in verse 13. Maybe the deluge is a repetitive phenomenon and the barge really is the assembly. I used the phrase span for time since day and night are singular in the Hebrew. As Herbert wrote in the poem Easter of 'days', There is but one and that one ever. וּמָחִ֗יתִי אֶֽת־כָּל־הַיְקוּם֙ אֲשֶׁ֣ר עָשִׂ֔יתִי מֵעַ֖ל פְּנֵ֥י הָֽאֲדָמָֽה 4 ~ For in yet seven days I will cause rain upon the earth, a forty day and forty night span. וַיִּרְבּ֣וּ הַמַּ֗יִם וַיִּשְׂאוּ֙ אֶת־הַתֵּבָ֔ה וַתָּ֖רָם מֵעַ֥ל הָאָֽרֶץ 17 And the deluge was a forty day span upon the earth. Now here's fun. 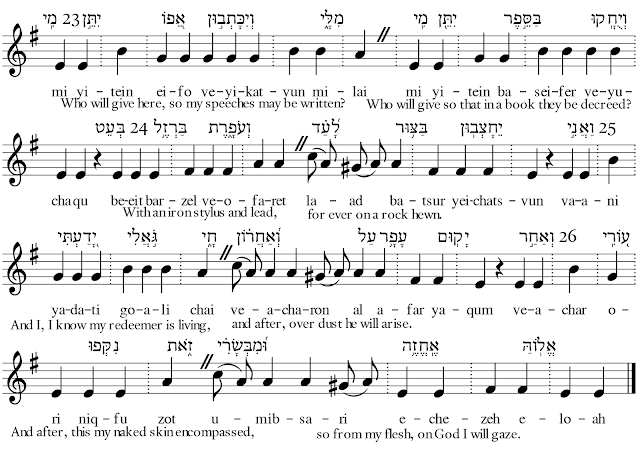 An uploaded score of Psalm 117, arranged by me this morning. Tell me harpists - will it work? Here is the score on YouTube. I hope to push the limits in the next couple of weeks to see how far I can get. We'll see. I am also preparing a presentation on the music for SBL regional meeting so there are other thought demands. The music always helps to hear the result of my reading, but I don't always look at everything. Amos 5 seems as if it might be a central chapter (of 9 it is). It is also the chapter that supports the awful unaccompanied singing of the closed table assemblies that don't allow instruments. Well, hey, if I were God, I would close my ears at lots of the music in the churches and outside them and say so too. There is no rest in the first verse and the 22nd. Now - can Amos, the not-prophet, write poetry? My Jerusalem Bible has all of Amos laid out as if it were poetry. It's still moot to me. The lines are longer than Job and the Psalms. (I could make the lines shorter by observing more accents as unambiguous carriage returns, but that is cheating I think.) There are a few verses that conform to typical poetic lengths (7-11 syllables roughly), a few that are shorter, and many that are much longer. My use of the word conclave has naught to do with Rome. It is a handy term for an enclosed meeting. The dirge that begins in verse 2 seems to carry on to the end of the chapter. 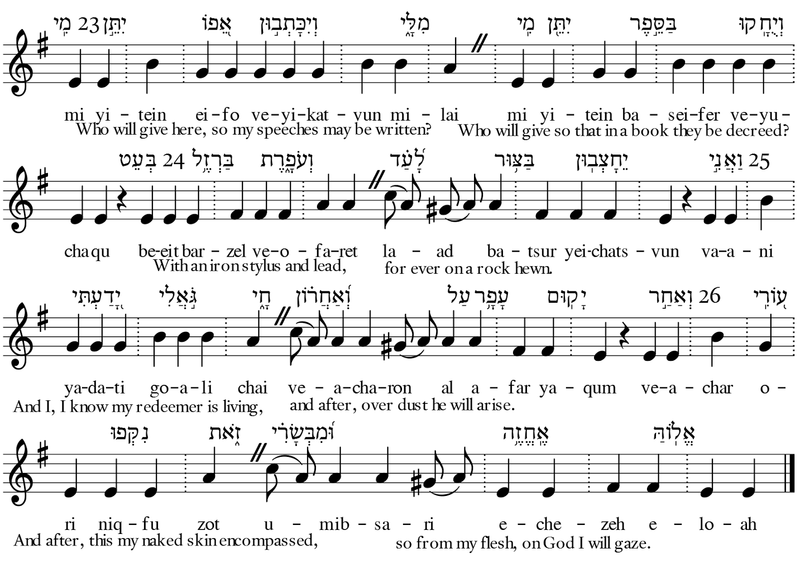 There is a frame of lift up/borne (this root repeats in verse 11 for load) and the house of Israel. There is a repeated line containing search out and live. Gate repeats three times (10, 12, 15 as if hopeful of good government) and wailing (16,17). The segments or stanzas of this chapter as poetry are not obvious to me at the moment. There are no other significant recurrence patterns that I have uncovered by experiment. Certain verses are encouraging like 14. But the promise of the God of hosts with you is muted by the afterthought, as you say. It is somewhat of a contrast with the threat of verse 17. נִטְּשָׁ֥ה עַל אַדְמָתָ֖הּ אֵ֥ין מְקִימָֽהּ 2 Fallen not again to arise is virgin Israel. וְדֹבֵ֥ר תָּמִ֖ים יְתָעֵֽבוּ 10 They hate at the gate a referee. כַּרְמֵי־חֶ֣מֶד נְטַעְתֶּ֔ם וְלֹ֥א תִשְׁתּ֖וּ אֶת־יֵינָֽם 11 ~ Therefore because you encroach on the weak, and a load of corn you take from them, houses of cut-stones you will build, and not settle in them. צֹרְרֵ֤י צַדִּיק֙ לֹ֣קְחֵי כֹ֔פֶר וְאֶבְיוֹנִ֖ים בַּשַּׁ֥עַר הִטּֽוּ 12 C For I know your many transgressions and numerous are your sins. אוּלַ֗י יֶֽחֱנַ֛ן יְהוָ֥ה אֱלֹהֵֽי צְבָא֖וֹת שְׁאֵרִ֥ית יוֹסֵֽף 15 Hate evil and love goodness and exhibit at the gate judgment. וְקָרְא֤וּ אִכָּר֙ אֶל אֵ֔בֶל וּמִסְפֵּ֖ד אֶל י֥וֹדְעֵי נֶֽהִי 16 ~ Therefore thus says Yahweh God of hosts my Lord, In all the piazzas wailing, and in all the streets, it will be said, Aye yai yai. לָמָּה זֶּ֥ה לָכֶ֛ם י֥וֹם יְהוָ֖ה הוּא חֹ֥שֶׁךְ וְלֹא אֽוֹר 18 f Alas, those who desire the day of Yahweh. וְאָפֵ֖ל וְלֹא נֹ֥גַֽהּ לֽוֹ 20 Is it not darkness, the day of Yahweh and not light? Carnival for March and other things.